EarthArt began in 2001 by Kimberly, a Charleston native. She has been a gardener her entire life, acquiring her love of flowers and techniques from her grandmother and great grandmother. Kimberly has a degree in Horticulture from Trident Technical College in Charleston. While Kimberly attended college, she designed and maintained a seasonal herb and vegetable garden for a local Charleston Chef and then worked at Mulberry Plantation. Kimberly planted and maintained three formal gardens which included a 10,000 square foot shade garden, a kitchen garden and a perennial garden. She cared for all the plants in the glass conservatory and all three homes consisting of many varieties of tropical plants and orchids. Kimberly currently maintains and designs several gardens on Kiawah Island and Downtown Charleston. EarthArt was an exhibitor in the 2006 Charleston Fall Garden Show. 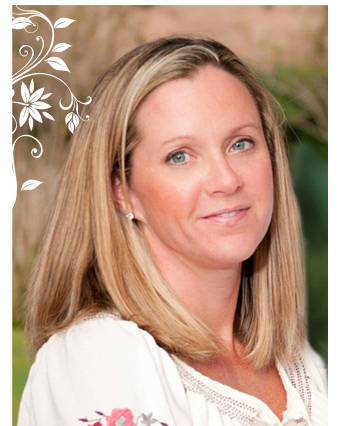 Kimberly was featured as a regional designer in 'Fine Gardening' Magazine 2009 SIP issue and was a designer in the 2013 Charleston symphony designer show house.